It's Spring!!! I'm loving all the bulbs and tree's blooming. I took a break from party planning over the weekend and took a day trip with my man to see the tulips in bloom. Of course I had to take the opportunity to check out a bakery I hadn't been to before. On the way to the tulips we stopped at White Rabbit Bakery in Aurora, Oregon. This bakery seems very fitting for spring. Rabbits make me think spring. 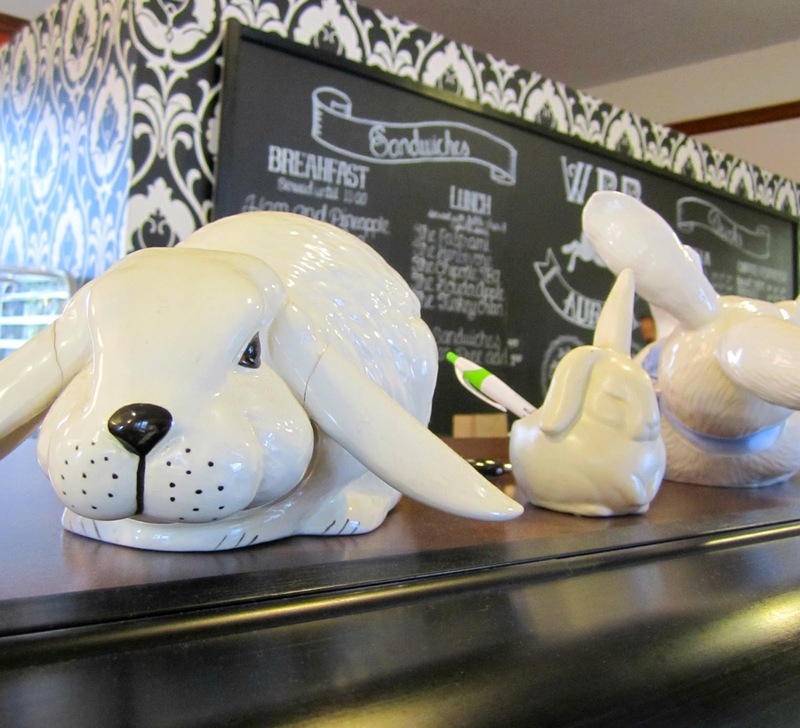 Inside the bakery you'll find more white rabbits and a case full of cinnamon rolls, scones, cookies and cupcakes. My man got a chocolate chip cookie which he ate before I could get a photo. It smelled good and was pretty tasty he said. I of course got a cupcake. I tried the Apple Irish Cream. Vanilla cake, filled with apples and frosted with Irish buttercream. And yes, it tastes as good as it sounds. The frosting is creamy, the cake is moist and the apples that fill the inside were cooked perfectly. The apple chunks inside were good sized too. The filling was not skimpy that's for sure. 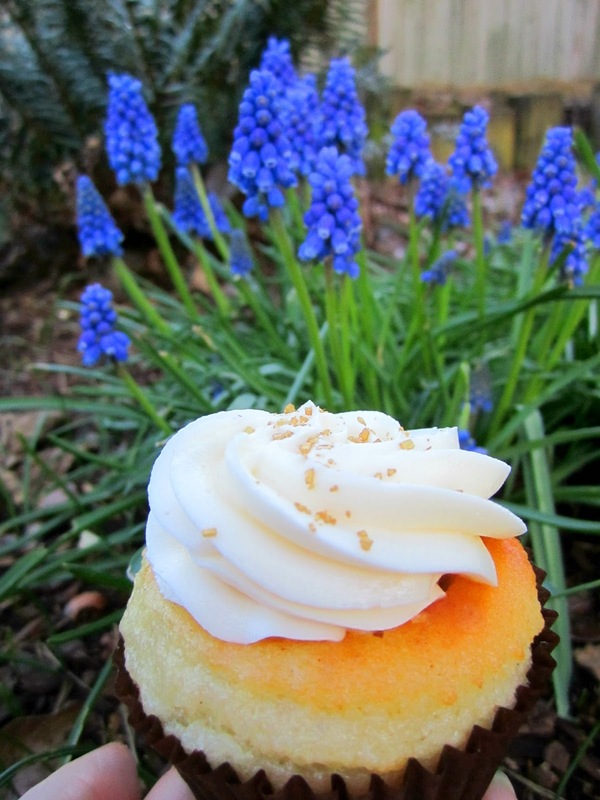 This cupcake is one of their seasonal flavors and I'll be heading back for some of their other seasonal flavors too. So many of them sound delicious and I can't resist a tasty cupcake or a road trip. 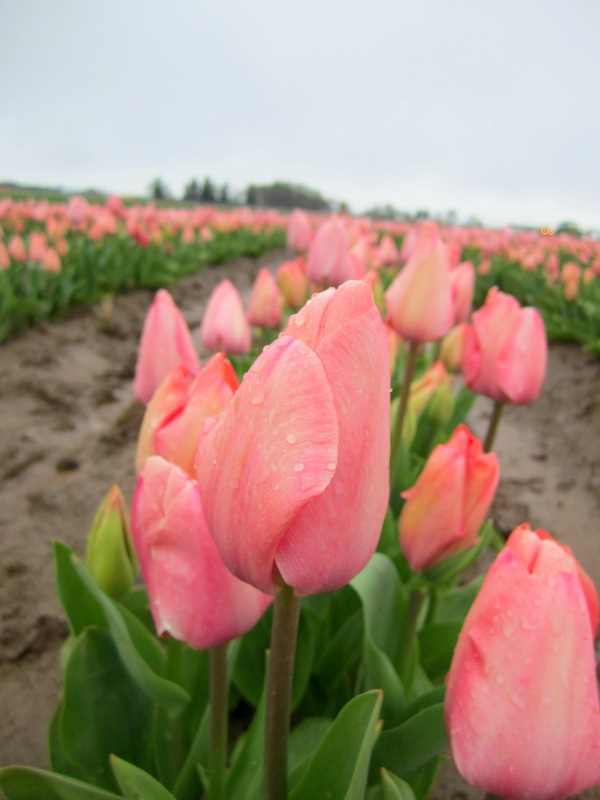 After enjoying the cookie and cupcake we went to visit the Wooden Shoe Tulip Farm It was opening weekend so not a whole lot of tulips were blooming and it was drizzling all day but that didn't stop us from having a good time. 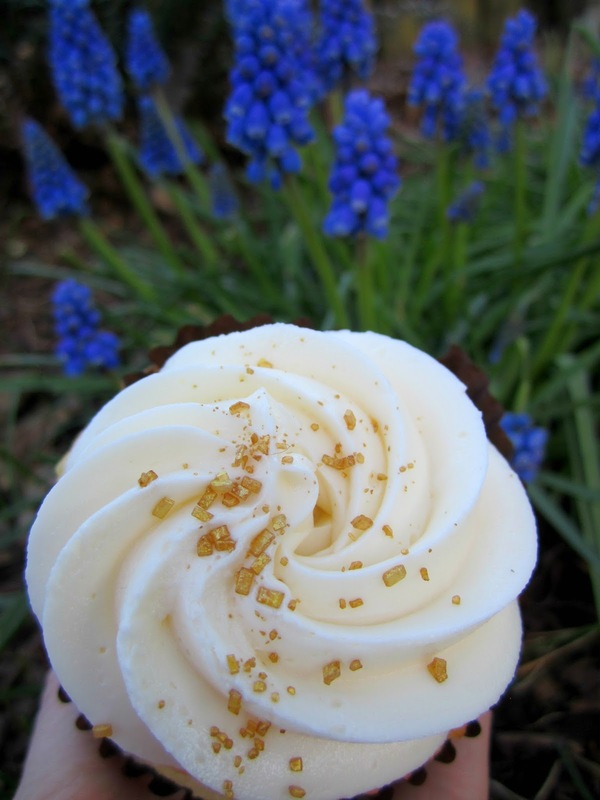 Leave me a comment of your favorite cupcake shops. YUM! That bakery looks quite charming! 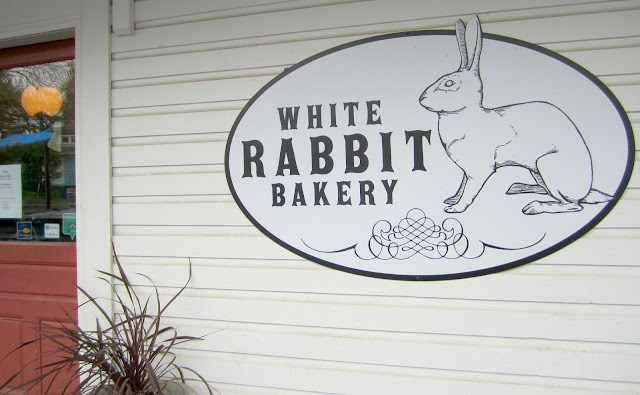 The bakery was charming and I'm going back to try more of their seasonal flavors. Now I want a cupcake! These look so yummy! Oh my gosh Kate they were SO good. I need to go back down there and try their May flavors. They have chocolate dipped strawberry and The Hummingbird. What a wonderful day! I love how your photos speak to it being Spring so well. Thank you Melanie. 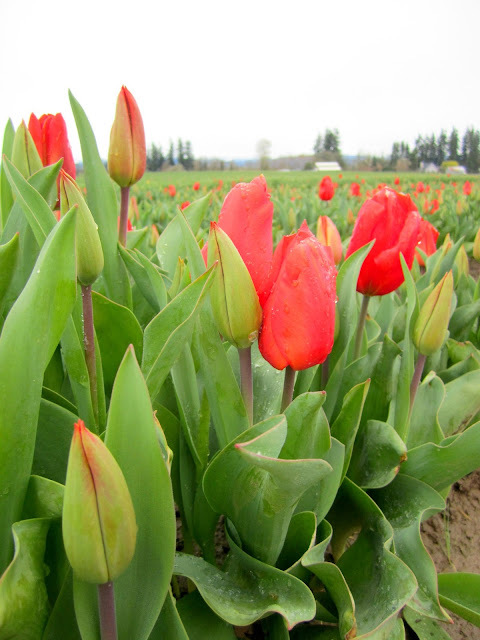 Sometimes it's hard to capture spring in the Portland metro area. ;) Grey skies you know. Absolutely! I definitely need to go back and try some of their other seasonal flavors.